We all do, we browse around the internet and found wanted and sometime unwanted information. But are we aware of the trail of information that are left behind that may invade into our privacy? Have you look recently at all the cookies stored in your browser? Go ahead and take a look, For Google Chrome, just type in chrome://settings/cookies in the url space and you will see all the cookies stored in your browser. You should not be surprised to see hundreds if not thousand of them. So how do you get rid of them? There is always the clear your cache option which will erase them all, but that is troublesome as well, as it will also erase for some site that you want to keep, There is an option to clear specific cookies, but that can get pretty tiresome as well. What many of us may not know is that the browser industry is aware of this problem and try to address it, it is called Privacy Mode browsing. When you are in that mode, all history and cookies created during that session will be “erase” when you close the window. I think this is a wonderful feature, so want to share with you, in case if you don’t already know on how to take advantage of it. Below are the details for the Google Chrome browser. This feature is also available in other popular browser, they are usually called Private Browsing, Private Tab, … etc. You can access it via the customize and control button, which is the 3 vertical dots on the upper right hand corner. Select “New incognito window” or use the Ctrl+Shift+N shortcut. 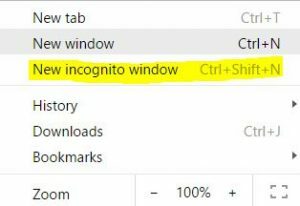 This will bring up a new incognito chrome window and you can learn more if you would like. 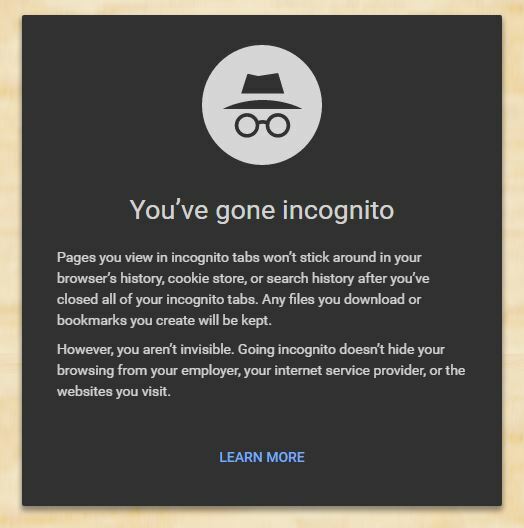 A new Incognito window will be open, and a link to learn more about Incognito is available You will also noticed that the Incognito window is slightly different in color, so that you can easily distinguish them. 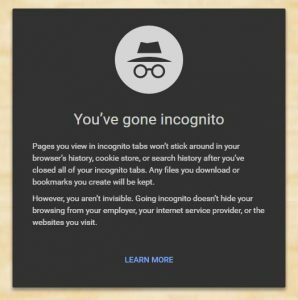 You can use both Incognito window and normal window at the same time, and you can decide when and where to become Incognito. Previous Article Previous Article: Emergency contacts from your phone? Next Article Next Article: Need a custom WordPress page layout?